Whether it’s at the beginning of an interview or when you’re leaving, the handshake is just as important as the interview itself. Beware of these well-known, but terrible handshakes. Whether it’s at the beginning of an interview or when you’re leaving, the handshake is just as important as the interview itself. Beware of the well-known but terrible handshakes. Grip is an important part of a handshake and a weak grip can speak volumes. It says you’re not confident or you care very little about getting the job. Basically, all you do is answer the questions, leave and hope for the best. A handshake that is too firm says the same thing as a weak one. It indicates a lack of confidence and that you’re probably trying to overcompensate for it. The last thing you want to do is leave the interviewer with the impression of pain and overcompensation. Always shake with your right hand even if you are left-handed. This method smacks the hand before the grip, like a stereotypical salesman with an overbearing personality. Someone with this handshake is seen to be intimidating to clients and cocky in the workplace. Employers will air on the side of caution and pass that sort of candidate over. This is a handshake with elongated shakes. Not only is it awkward but it states that you are not accustomed to working with people. Therefore you would not work well in the work environment. It’s exactly what it sounds like. This person makes contact with the interviewer, but does not shake and immediately lets go. 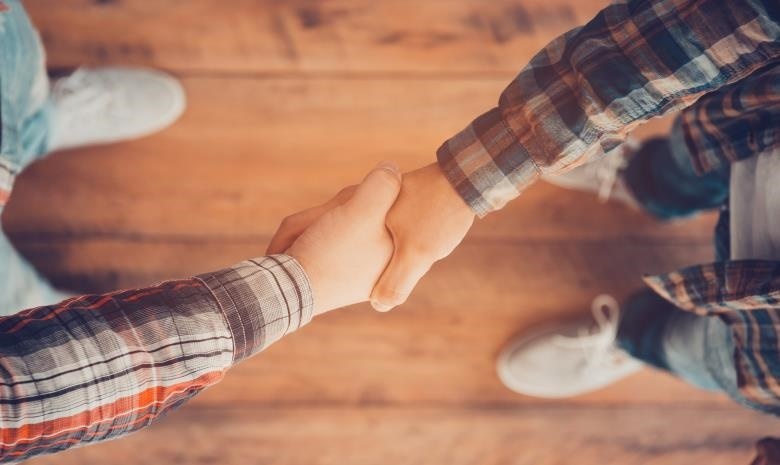 Similar to the "Germphobe", this handshake is said to lack lack confidence and desire for the position. However it comes across as being more awkward and uncomfortable than anything else. Even a great interview can’t make up with this weird handshake. The best handshake has a slight squeeze and one or two small shakes. The hand comes in from the front as opposed to the top or bottom. This type of handshake makes the interviewer feel comfortable and shows you are confident. It also leaves them feeling content about meeting you. Last, but not least, always remember to smile and maintain eye contact.